In an effort to collect alternate viewpoints, particularly from patients using patient-family advisor (PFA) volunteers, Catholic Medical Center created the volunteer rounding program. PFA volunteers visit patients at their bedside during their hospital stay and collect data that will authentically improve the experience, safety and quality of care for all patients. This program was created by former patients to serve current patients. Code Lilac at Children’s Memorial Hermann Hospital helps treat debilitating emotional distress among caregivers following a traumatic patient event. When a Code Lilac is called, affected caregivers are provided with a safe space to meet with their peers and specially trained colleagues who help them gain clarity and perspective. Seventy-five staff members have completed extensive training on emotional diffusing – the same training used by the Red Cross, firefighters and police to help their team members return to a functional level of service – and volunteer to facilitate Code Lilac sessions for their colleagues. 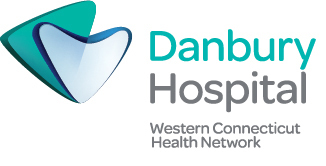 Danbury Hospital created this program for the palliative care team to be able to address and treat the patient as a whole person. In addition to alleviating suffering, the teams are experts in symptom management and communication skills that are necessary to elicit “what matters most” from patients and families to align their medical treatment with their preferences. This program promotes an inter-professional palliative care team to provide the best patient experience. Donor Alliance launched their Schwartz Rounds® in 2016 to support staff wellness and combat fatigue. The program has been well-received and well-attended by staff. They are creating an evaluation tool to track their goals of supporting staff health and well-being, increasing compassion among staff, improving resiliency and reducing fatigue. When dealing with clients, it is imperative to focus on client-centered language to drive their care. A course was taught to improve nursing staff’s recovery-based language practice, which would be reflected in client-focused care. An eight-month program was implemented with five levels of tasks to be mastered: learning language, hearing and speaking, writing, application to clients, and an ongoing recovery-language group for clients. Pre- and post-test surveys were administered to all staff who participated, which validated the anecdotal reports of success. Emerson Hospital’s Coping Kit Program was started to help children cope effectively with their hospital experience. Coping Kits are colorful, toy-filled bags given to pediatric patients who enter as inpatients in the emergency department. The toys are carefully selected by members of the Pediatric Intervention Team to support universal coping and stress reduction. Used together, these items empower a child to become a more active participant in his or her healthcare and help transform the intimidating medical world into an environment that a child can understand and master. As the first hospital in Massachusetts to use Orchid-CipherHealth’s rounding application, Emerson Hospital’s inpatient nurse managers use an app on iPads to round on patients utilizing best practice evidence based questions. The process supports the ability to set patient expectations, send immediate complimentary comments to staff, and provide notifications to other departments such as dietary and environmental services for service recovery. The tool not only helps Emerson improve on patients’ experiences during their hospital stay, it also has a positive impact on HCAHPS scores and provides important trends and data that can be used to enhance patients’ overall hospital experiences immediately, as well as over time. Through various campaigns, Genesis’ program promotes the recognition and use of compassion as the key driver of customer experience and focuses on the mutually beneficial nature of the patient-caregiver experience. Through posters, newsletters, videos and a caregiver recognition program, over 100 skilled nursing centers and assisted living communities have participated in compassion campaigns. Its supplementary video series defines compassion and was accompanied by a discussion guide for managers to easily help staff integrate and apply the information. Le Bonheur’s comprehensive bereavement program was created in an attempt to ease grief for families who have lost a child as well as for the staff who cared for them. For families, it offers physical presence at the time of death, invitations for multidisciplinary review in the weeks to months after the death of a child, counseling resources as needs are identified on phone calls and an annual Celebration of Remembrance. Personalized cards on significant dates are sent and for those who reside within 30 miles of the hospital the team offers home bereavement visits. For staff, bereavement boxes are placed on the units where a child has died so the staff may also write personal cards to the family. This provides staff members with an outlet for their feelings and an opportunity to share heartfelt condolences with their patients’ families. Within days after a loss, the team also provides food, listening and a safe place for staff to process the loss of their beloved patients. Loyola’s pet therapy program provides compassionate love and support through weekly rounds to the clinical caregivers on units. Every Wednesday, Zoey, an eleven-year-old national pet therapy partner and her pet partner and director of pastoral care and chaplain, Marie Coglianese, round the patient care units, blood bank, core lab, pharmacy, GI lab, radiology and emergency departments. True to Loyola University Health System’s tag line, “We also treat the Human Spirit,” health system president Wendy Luetgens also joins rounding on “Zoey Wednesdays,” which speaks to the hospital’s commitment to the compassionate care of the staff’s spirits. McLean Hospital’s mental health public awareness and anti-stigma campaign showcases a series of larger-than-life photographs and interviews with people from across the United States who have been affected by mental illness. Told through the eyes of its participants, the campaign aims to tear down the misconceptions of what those with mental illness look like. Its initial 235-foot physical installation opened in December 2016 at Boston’s Logan International Airport. The installation, website and companion book serve to capture the complexity of living with a psychiatric disorder, seeking treatment, navigating insurance and healthcare systems and facing stigma. A monthly staff oncology support group was implemented to combat compassion fatigue among the oncology nurses and the associated healthcare team in the MSKCC Urgent Care Center and Clinical Decision Unit. The nurse-led group, which is structured as a safe place to share experiences, focuses on a variety of therapeutic techniques based on a monthly theme. The purpose is to promote healing of the mind, body and spirit as well as to enhance team-building. Burnout, emotional exhaustion, depersonalization and low personal accomplishment have been correlated with negative patient, professional and organizational outcomes. A team at Mount Auburn set out to engage a diverse group of employees to determine whether either of two brief mindfulness-based interventions could help to reduce burnout. Interventions were either a downloaded four-minute focused breath meditation that participants would listen to daily for 30 days at a time of their own choosing, or attendance at four weekly one-hour sessions of a facilitated small group held conveniently at the workplace. They found that both interventions were significant with the independent meditation having the greatest impact on emotional exhaustion and improvement in depersonalization. The Second Victim Peer Support program centers on providing rapid emotional support for all staff who have experienced or been impacted in an unanticipated or adverse patient event. This is a peer support approach; members have been trained to provide support to their colleagues. Nationwide Children’s Hospital is now near the end of an 18-month research project to characterize the negative impact of errors or adverse events on healthcare providers, and evaluate the effectiveness of the second victim peer support program. The Ken Hamilton Caregivers Center at Northern Westchester Hospital was created in 2006 to provide free emotional support and respite to family caregivers. Listening with a non-judgmental ear allows family caregivers to feel heard and can help ease their stress. A relaxing physical space allows them to rest and recharge. In 2016, a “Stay in Touch” program was launched to maintain an ongoing, supportive relationship with the family caregiver in the home. By periodically touching base, trained caregiver coaches will provide emotional support and referrals to community resources as appropriate. Support will continue for as long as the caregiver finds it helpful. Northwell Health has been undergoing a cultural transformation grounded in Connectedness, Awareness, Respect and Empathy (C.A.R.E.). This framework supports their execution strategy focusing on culture, care delivery, hospitality and accountability pillars. It embodies a holistic approach to patient experience by leveraging innate passions, listening to the “voice” of their patients and families, designing with intent and caring for professional caregivers. Highlights of their approach include an emphasis on storytelling, the creation of a culture leader role that is tasked with executing the patient and customer experience strategy, staff education, first impression projects, humanism initiatives, holistic integrative medicine programs, Schwartz Rounds™, relationship-centered communication and leadership rounding. ACCEPTS (Aware Compassionate Communication: an Experiential Provider Training Series) is a multimodal program designed to enhance provider resilience and communication. Didactic and experiential exercises are delivered in a group format over the course of eight weeks. Providers engage in discussion and value-clarification exercises, learn cognitive behavioral models of stress and coping, practice mindfulness and participate in a number of communication exercises. To enhance bereavement services in the acute care setting, South Shore Hospital created their bereavement program, which adopted the initiative “No One Dies Alone (NODA),” — a bedside vigil program where volunteers are trained to play music, read and attend to patients as they move toward a safe and dignified death. Their program also includes the Bereavement & Resource Line, offering families and staff around-the-clock access to referrals for community support groups and counseling, grief materials and phone support. The Comfort Tote replaces the standard hospital belongings bag and allows families to take their loved one’s items home in a more dignified manner and contains a resource guide to help families cope after a loss. During the organization’s stakeholder consultation for a quality strategic plan, patients, families and staff rated compassion and humane aspects of care as a top priority, equally as important as safety. Sunnybrook adopted the Schwartz Rounds program as an intervention and enabler to advance a culture of compassion. To show that modeling compassion starts with hospital leaders, the CEO introduced the first Schwartz Rounds session and the CMO closed the session. The University of Washington Medical Center’s program improves and strengthens interprofessional collaborative practice among caregivers, patients and families. It provides an opportunity for patients and families to engage with the medical team, and to establish shared knowledge and goals. This team approach promotes patient safety and high-quality care through improved communication, with the goal of co-creating the best plan of care for the patient. Clinicians, educators, researchers, students and patient advisors collaborated to achieve the goal of implementing SIBR and improving “The Triple C” — compassionate, collaborative care.